Gabriella Orellana and Lauren Wiegele with Lily, Joyce and Michael Coulson with some chocolate treats. By Jon Hewson. 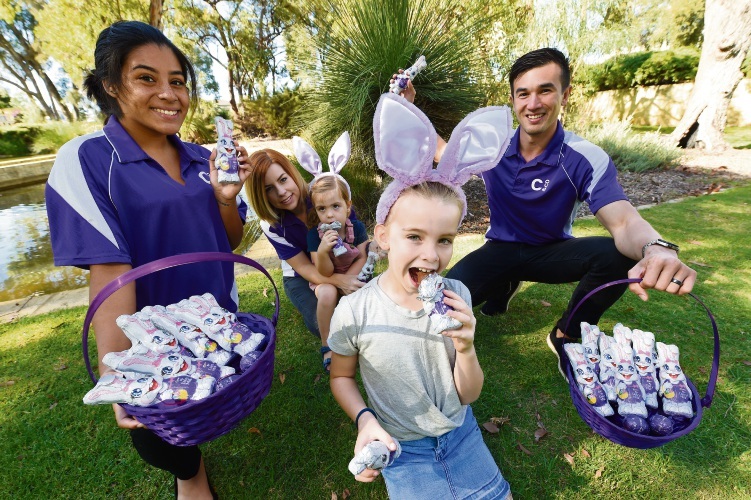 AN Easter egg hunt will be held at Abingdon Park on Easter Sunday in Wellard, starting at 9am. The hunt will be organised by Wellard realtor Coulson and Co.
Registrations are essential to ensure there is enough chocolates to go around. The Easter Bunny will be hopping in for photos and the free event is open to all ages.